Although some people think of limousines as fancy but quite inconvenient vehicles transport-wise, the truth is that they are quite versatile. Not only is a limo great for transport purposes in the city, but it is also a great way to make an impression. Of course, you don’t need a particular reason to hire a limo. You can do so anytime you want since the service has become quite widespread. Get the night out started with a bang – cruising up to your favourite club along with your closest friends is indeed a special feeling. If you are also looking to make a lasting impression, you might as well do it in the seat of a fancy limousine. Many companies out there have fleets that suit practically every style of night out. Whether you are having a male-only party or you have gathered with the girls for a memorable girls’ night out, you are in for a lot of options. Sightseeing opportunities – London surely has a lot to offer regarding sights to see. It is packed with places of interest, many of which make a great addition to any bucket list. You can bet that there is hardly any better place to experience these sights than the backseat of a comfy limousine. Unlike your regular bus tour, you can bet that no one will get in your way of a photo or a beautiful view. Make a person feel special – whether it is one of your parents on Mother’s or Father’s Day, or perhaps your significant other on Valentine’s Day, you want to make it more memorable for them. The best way to do so is to hire a limousine. 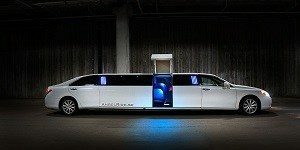 Of course, you need to arrange the venue and the event itself, but a beautiful limo comes as icing on the cake. It is an excellent way to make your loved ones feel on top of the world. Limousines are particularly fitting for prom nights, anniversaries and birthday parties. It is a unique surprise, which your loved one will remember for quite some time ahead. Eliminate the stress of airport transfer – getting to the airport is hardly a fun time for anyone. However, all of that can change with a limousine. Apart from sheer convenience, you can also leave a lasting impression when you are picking up someone. This is very useful for corporate trips. The practical side of limo hire for airport transfer is that you will not worry about parking costs. Ensure a wedding is one that matches a fairytale – perhaps most notable of the special occasions in one’s life is the wedding. 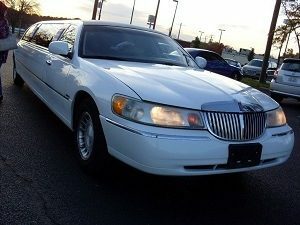 This is pretty much the case with everyone, so you will do well to take full advantage of limo hire on that special day. It is bound to make it even more memorable. As you can see, there are plenty of reasons to book limo hire services for your special event. It is up to you to make that call and ensure you have the best vehicle booked.